If there's an overriding trend in the world of enterprise software lately, it's democratization, as tools previously reserved for experts are put in the hands of average users. On Tuesday, Salesforce.com climbed on board with new software, training and support services that aim to help more users -- not just professional developers -- build applications for the Salesforce platform. There aren't enough trained developers to create apps for the business world, the company says, so it wants to help users in all parts of the organization make their own. More than 2.8 million developers have already built some 5.5 million apps based on the company's customer relationship management software, it says, and at its TrailheaDX developer event in San Francisco, it made several announcements to expand that further. The Summer '16 release of Salesforce's Lightning development platform, for instance, includes more than 200 new features for both expert and nontechnical developers. Lightning's component-based architecture makes it easier to combine app elements using drag-and-drop software. Now, new Lightning LockerService, Lightning Inspector and Lightning CLI tools give professional developers broader capabilities for building custom components. Other tools make it easier for anyone, including "citizen developers," to create apps without needing to know coding, by mixing and matching custom and standard components. Within Lightning App Builder, for example, users can create and edit Lightning Record Pages, customize Home Pages for different user profiles and assign filters to a report chart component using visual tools. In Salesforce's free gaming-style online learning environment, called Trailhead, new "superbadges" aim to encourage users to learn more Salesforce skills. Superbadges are credentials that can be proudly displayed on a resume or on LinkedIn. They're awarded for solving real-world business challenges such as scaling the infrastructure of a growing business or automating a sales process. Superbadges in Lightning Experience, Apex, Reports & Dashboards and Security are available now; others are on the way. Aiming to nurture entrepreneurs who build on the Salesforce platform, the CRM company's new ventures arm launched a $50 million investment fund for those who create Lightning apps and components for it. Similarly, a new incubator program focuses on early-stage companies that use Salesforce Lightning to create products. 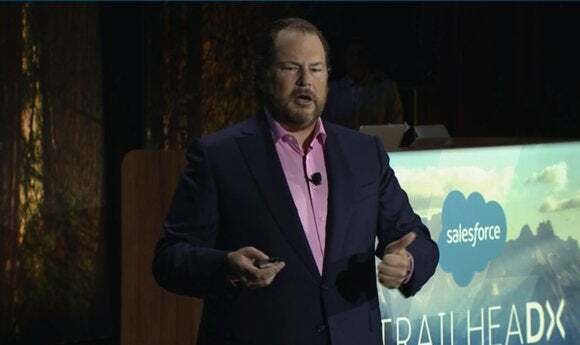 Due to open in the San Francisco Bay Area by year's end, it will provide a physical space within Salesforce offices along with access to Salesforce technology and mentorship.